As you begin to enjoy your retirement years, you have many lifestyle options to consider. Are you interested in a continuing care retirement community knowing you can move within the community as your needs change? Do you prefer a not-for-profit that reinvests profits back into the community rather than a corporate headquarters in another state? Are social activities and like-minded neighbors important to you? We hope this information will answer your questions, but if not, please call Laura at 317-826-6064. What is Westminster Village North? Who owns and operates Westminster Village North? What kind of increased costs can I anticipate? Are there tax advantages to residence at Westminster Village North? Is Westminster Village North a faith-based organization? What health care services are available through Westminster Village North? Who decides when I need assisted living or health center care? Must I surrender my apartment home or cottage if I move to another level of care? What types of fees do residents of the Village pay? What is the Life Occupancy promise? Do residents have a voice in the operation of Westminster Village North? Are there age and health requirements for living at Westminster Village North? Two memory care units depending on need. In a very real sense, our residents are the owners of Westminster Village North. There are no shareholders, no investors, no one who profits from the ethical management, financial integrity and quality services of the Village except our residents. As a 501(c)(3) corporation, Westminster Village North is governed by an all-volunteer Board of Directors. It is managed by a qualified, caring staff of professionals and caregivers who report directly to that Board through a State licensed Executive Director. There is no corporate ownership, no absentee management company, no entity or person standing between the Village and its residents. The Board of Directors reviews the Monthly Service Fee each year during the annual budget process, and typically increases the MSF to reflect actual operating costs of the community. Residents receive at least thirty (30) days’ notice of any increase. All fees, including the MSF, are maintained at the lowest possible level that ensures responsible stewardship and fiscal integrity. Rulings by the Internal Revenue Service indicate a portion of both your Life Occupancy Fee and your ongoing Monthly Service Fee may be tax deductible as pre-paid medical expense. Each January, our business office will provide you with a statement indicating the portion of your MSF that may qualify for this deduction. This is a benefit you should discuss with your tax adviser. This benefit is only available when you reside in a continuing care retirement community. Although originally affiliated with the Presbyterian Church, Westminster Village North is now non-denominational. Still, enhancing the spiritual life of our residents is an important part of our mission, and we provide a full-time staff chaplain to coordinate those efforts. The chaplain offers regular Bible study, and health center and hospital visitation, and is available to meet with residents and families on request. Additionally, ministers and pastors from several local churches rotate to lead our weekly Vesper services and other on-site services. We also offer a lovely meditation room and chapel for the private use of residents and families, and many families choose to host memorials for loved ones in our library, social hall or other special places on our campus. It is our goal to provide spiritual services that represent the needs and desires of all our residents, and to ensure that each resident’s faith is accommodated and respected. Medicare-certified nursing care; and licensed long-term care. At Westminster Village North, we believe in the concept of aging in place, so we permit our residents to engage home health care workers if they choose to remain in their apartment home or cottage despite failing health. We recognize, though, that not all residents wish to absorb that expense, and some prefer to move naturally through the WVN continuum of care. 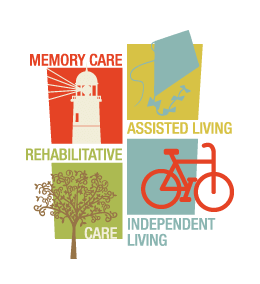 In many cases, residents tell us when they feel they would be more comfortable with additional support and care. Ultimately, the decision is carefully, professionally and lovingly made by an interdisciplinary team that includes our medical director, nursing and wellness staff, and social services in consultation with the resident, and the resident’s family and physician. Most stays in the Westminster Village North health center are temporary, for rehabilitation after an accident or surgery. In fact, in recognition of that, all life occupancy residents are offered seven free days in the health center each year. When a transfer is permanent, however, it makes sense for residents to give up their apartment home or cottage and the attendant expense. For example, if one spouse permanently moves to the health center, the MSF for the other spouse is reduced to reflect single occupancy of the apartment home. Westminster Village North is close to the Community Health Network north campus, including Community Hospital North and Indiana Heart & Vascular Center. Because so many of our residents choose that system for their care, we provide a free shuttle service to that campus on select days each week so residents can schedule appointments with specialists without concern about transportation. However, metropolitan Indianapolis is blessed with several quality medical and hospital systems, and you are free to place your medical needs in the care of whichever one you choose. Among the convenient choices are St. Vincent Health, IU, St. Francis Hospital, Riverview Hospital, Community Hospital East and the Roudebush VA Medical Center. When you choose to become an independent resident at Westminster Village North, you pay a Life Occupancy Fee (LOF) – a one-time fee based on the type of accommodation you initially choose. Additionally, residents pay a Monthly Service Fee (MSF) based on the level of care they are receiving. A Traditional Life Occupant requires a larger initial payment with smaller monthly service fees. The Traditional LOF amortizes over a four-year period for Tamarack apartments and six-year period for cottage homes. Return on Equity Life Occupant programs are available for individuals who want to ensure payment to their heirs. Independent living homes and apartments are offered with an 80% return on equity for the Traditional Life Occupant plan. Month to month leases are available for Independent living and Assisted living apartments. With leases, the life occupant promise is not in effect. Independent living residents who lease apartments in the Tamarack apartment building can convert to a life occupant within the first 12 months and 75 percent of the difference between the lease and the monthly service fee will be attributed to the Life Occupant fee. Can I or my heirs get back any of the Life Occupancy Fee if I choose to leave or when I die? That depends. There are two ways to pay your Life Occupancy Fee. The standard LOF is depreciable over 48 months for an apartment home resident, 72 months for a cottage resident. If you move or pass away during that time, a depreciating amount of your LOF will be returned to you or your estate. Some residents choose our alternate Return of Equity life occupancy fee. Although initially more expensive, the ROE option returns up to eighty percent (80%) of the LOF to you or your estate when you pass away or if you ever decide to move elsewhere. The return is made as soon as your apartment home or cottage is re-occupied. Flexible meal plan, giving you the opportunity to select chef-prepared meals in the beautiful Tamarack Dining Room. Cottage and ranch home residents pay at lower fee, permitting them to access housekeeping, linen services, and dining on an á la carte basis. Assisted living and health center residents pay a greater fee, reflecting the increased services and amenities they enjoy. An active Residents’ Council represents residents of the Village and gives them an opportunity to communicate as a group on many issues vital to the quality of life at Westminster Village North. The Executive Director hosts a monthly meeting open to all residents, and attends the monthly Residents’ Council meeting to respond to questions and concerns. Other director-level staff meet regularly with residents, as well, and residents also serve on many committees of the Board of Directors. Most important, though, executive leadership are reachable at all times to respond in emergency situations, and our “open door” policy provides a level of personal accountability and responsibility that assures residents access to decision-makers for prompt, thoughtful and respectful action. Residency in the independent apartment homes and cottages at Westminster Village North is limited to those age 62 or older. Each prospective resident must show results of a recent chest x-ray evidencing no communicable disease, and be assessed by our nursing staff as appropriate for independent living. Only those individuals who are capable of independent living without assistance are accepted for residency. In the case of a couple, one partner may serve as caregiver for the other, but the couple must function as an independent unit. Individuals who assess as appropriate for licensed assisted living can be accepted as either life occupancy residents or rental residents in our assisted living accommodations. Those who require temporary rehabilitative care or long-term health care are eligible for admission to the Westminster Village North health center, but life occupancy residency is not an option for health center admission from outside the Village.